Outer Banks Golf at it’s best! Challenge your best game at 7 of the Outer Banks top golf courses all just a short drive from our oceanfront location! Located at the top of North Carolina’s barrier islands, the Outer Banks divides the Atlantic Ocean from the Currituck Sound. With so many holes along the waters completely surrounding the Outer Banks, it’s hard to imagine a more picturesque and exciting place to tee it up. Couple this with 130 miles of the wildest, most natural and undeveloped beaches in the country and you have the perfect getaway. Vacationing golfers are welcomed at the Sea Ranch Resort, where they always feel at home. 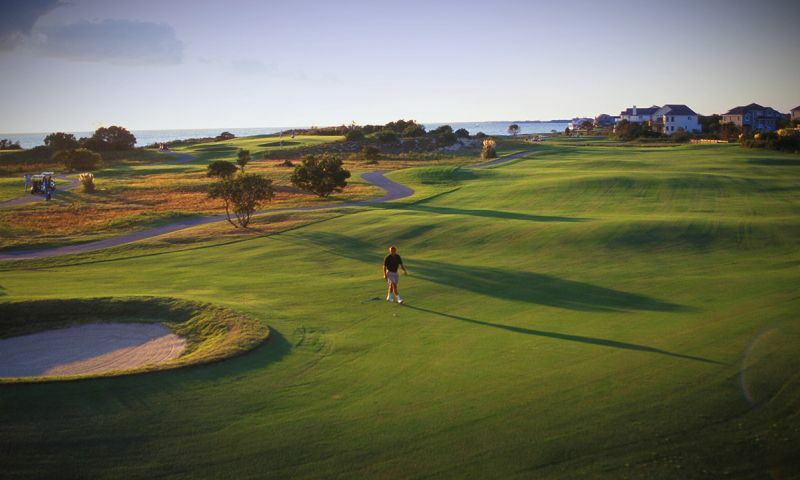 A golf getaway to the Outer Banks is simply unforgettable. It’s more than great golf, more than a vacation and more than you imagined! From course and accommodations selections to dining and water sports recommendations, we are are ready to assist with your vacation plans. Give us a call today or email reservations@searanchresort.com, to request your no-obligation golf trip quote. You will absolutely love the quality and affordability of this amazing year-round destination.